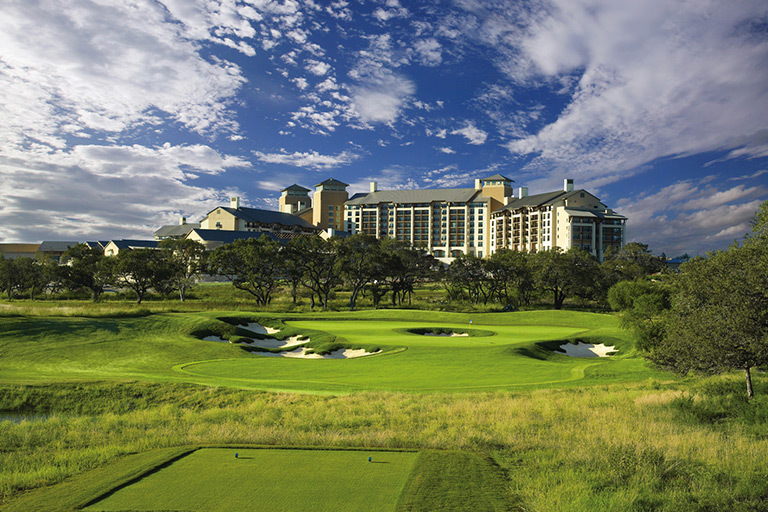 The 2019 Valero Texas Open returns to the TPC San Antonio as the PGA Tour’s 3rd oldest event kicks off April 4 with a strong field of hopefuls. The course has undergone alterations since last year’s event, including widening the fairways and shortening the rough. While the underbrush and rocky wastes still punish errant shots (just ask Kevin Na, who hit a 16 on the 9th hole in 2011), the changes should help some of the Tour’s heavy hitters. The tournament is one week before the Masters and represents the last chance for a currently unqualified golfer to earn a spot in Augusta next week. That’s exactly what happened last year when Andrew Landry finally delivered on his first PGA Tour win. Andrew Landry grew up playing golf on a 9 hole course in Port Neches-Grove, TX affectionately named the Pea Patch. From these humble beginnings, Landry went on to an impressive college career at the University of Arkansas but still had to work his way up to the PGA Tour, first playing mini-tours before finally earning a PGA Tour card in 2016 through his performance on the Web.com Tour. Landry had a few strong showing on Tour, notably at the 2016 U.S. Open and losing a playoff at the 2018 CareerBuilder Challenge, but it took his performance in his native Texas to earn his first PGA Tour win. It was a fairly straightforward win, with Landry’s -17 score the lowest card ever scored since the event came to TPC San Antonio. Landry will look to replicate Zach Johnson’s back-to-back wins in 2010 as he tees off this Thursday. In his way are many top golfers, including 2019 Waste Management Phoenix Open champion Rickie Fowler and 2019 Desert Classic winner Adam Long. Matt Kuchar is another favorite as he hopes to keep his strong season going. Kuchar is chasing his 3rd win after his best start to a PGA Tour season. Padraig Harrington, a 3-time majors winner, headlines a small contingent of veterans looking to earn a ticket to the Masters with a win this weekend. Joining Harrington is 2010 U.S. Open champion Graeme McDowell, fresh off of winning last week’s Corales Puntacana Resort and Club Championship, a PGA Tour alternative event. Former World Number 1 and 4-time major winner Ernie Els rounds out this group as they look to show the younger professionals just how its done.